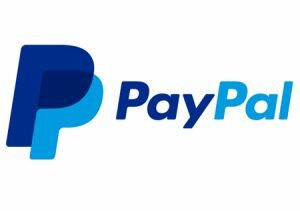 PayPal announced its plans to acquire Swift Financial, a provider of working capital solutions to small businesses. PayPal had jumped into the lending business in 2013 when it launched PayPal Working Capital, after it saw how other businesses such as Kabbage were using PayPal data to help assess risks when making working capital loans to small businesses. At PayPal, we believe that small businesses are the engine of the new global economy, and that small business owners should be able to access the capital they need, when they need it, based on the strength of their business. That’s why we launched PayPal Working Capital in 2013, a unique business financing product that has responsibly provided access to more than $3 billion in funding to more than 115,000 small businesses. Increasing access to capital is vital to the success of small businesses and is a strategic offering for PayPal, which drives merchants’ sales growth, increases processing volume, and reduces merchant churn. As part of our continued efforts to support the hard work of small business owners and entrepreneurs, I am pleased to announce that PayPal has agreed to acquire Swift Financial, a leading provider of working capital solutions to small businesses in the U.S.
Headquartered in Wilmington, Delaware, Swift Financial was established in 2006 with the idea that the right funding can unleash the full potential of a business. Since then, Swift has provided funding to thousands of growing companies in the U.S. through a unique combination of data, technology, and outstanding customer service, which has been recognized for excellence by J.D. Power. We know and value Swift’s technology platform and people, and we believe their talent and capabilities will further strengthen our overall merchant value proposition. Building upon an existing commercial relationship, the acquisition of Swift Financial will enable us to better serve small businesses by enhancing our underwriting capabilities to provide access to affordable business financing solutions to more businesses to help them grow and thrive. While PayPal Working Capital provides access to capital based exclusively on proprietary insights, Swift’s technology will allow us to assess supplemental information to more fully understand the strength of a business and provide access to complementary financing products to meet the needs of small and mid-sized businesses. With these capabilities, Swift Financial will help accelerate our efforts to democratize financial services by enabling PayPal to further fill the small business funding gap. The acquisition is expected to close later in the year, subject to certain closing conditions, including the expiration or early termination of the applicable pre-merger waiting period under the Hart-Scott-Rodino Antitrust Improvements Act of 1976. Together, PayPal and Swift Financial can help unleash the potential of small businesses. I look forward to welcoming the Swift team to the PayPal family.